Refinancing into a fixed-rate mortgage provides the peace of mind of knowing what the mortgage payment will be for the life of the loan (excluding property tax fluctuations). A fixed-rate mortgage has the same interest rate for the life of the loan. Loan terms will vary among lenders, but generally, fixed-rate mortgages offer payment terms of 15, 20, and 30 years. Homeowners often choose to refinance to adjustable-rate mortgages (ARMs) when interest rates are high, or when they want to trade in a higher fixed-rate mortgage for a lower-rate ARM. Loan terms will vary among lenders, but generally, adjustable-rate mortgages offer rate adjustment terms of one, three, five, seven, and sometimes ten years. ARMs are tied to a financial index, which is generally a published number or percentage, such as the average interest rate or yield on Treasury bills. Financial indexes fluctuate, so homeowners often choose to change from one type of ARM to another, or refinance with the same type of ARM, to get a lower rate. Although an ARM usually offers a lower initial rate, mortgage payments can change periodically (usually once or twice a year). Interest rate changes typically are subject to a limit or cap for each adjustment and for the life of the loan. An “Interest Only” Mortgage loan is a very popular alternative to traditional fixed rates. Gaining popularity at record speed these home loans allow a consumer to make “Interest Only” payments during a defined period of time for the loan. These programs can offer consumers greater purchasing power, increased cash flow and a number of other benefits. For example, one of the most common programs a is a 5 year interest only loan where the borrower has a fixed rate for five years and is only obligated to pay the interest owed every month. This could mean hundreds of dollars in monthly savings, increased purchasing power (since you may qualify on the interest only payment) and more. These loans are not for everybody however if you are self disciplined, have a good understanding of the time frame you will be in your home and understand the potential risks then these products may provide an extremely attractive option to many homeowners. In attempting to approve home buyers for the type and amount of mortgage they want, mortgage companies look at two key factors. The borrower’s willingness to repay the loan. It is important to remember that there are no rules carved in stone. Each applicant is handled on a case-by-case basis. So even if you come up a little short in one area, your stronger point could make up for the weak one. Mortgage companies couldn’t stay in business if they didn’t generate loan business, so it’s in everyone’s best interest to see that you qualify. When analyzing a borrower’s loan application (Form 1003), lenders use two different debt ratios to determine if the borrower can afford his obligations. Known as the “Top” and “Bottom” ratios, the top ratio consists of monthly housing expense known as PITI (principal, interest, taxes, homeowner’s insurance and condo fee or PMI Insurance, if any) divided by gross monthly income. The bottom ratio consists of PITI plus all monthly consumer debt payments (cars, credit cards, student loans) divided by gross monthly income. 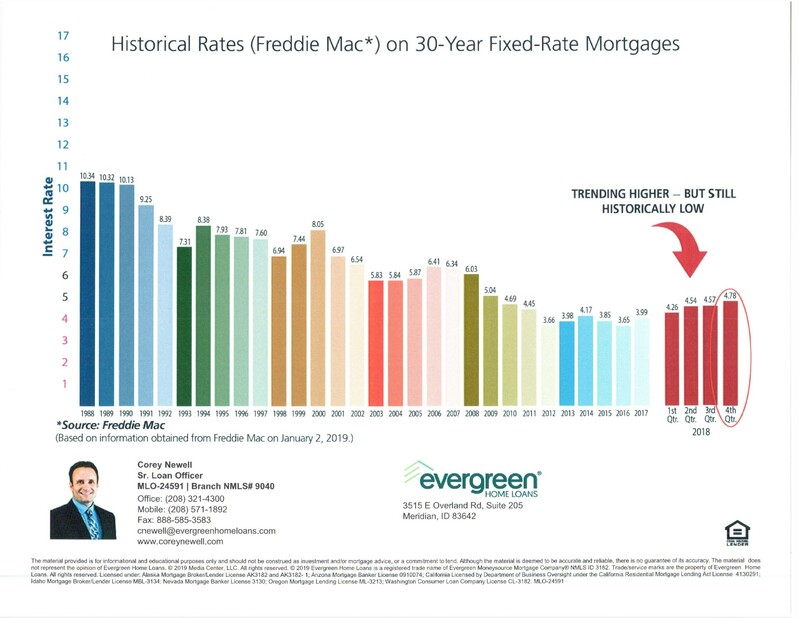 Fannie Mae / Freddie Mac guidelines say that the top and bottom ratios should not exceed 28 over 36 (28/36) with a down payment of less than 20%. If your down payment is 20% or greater they will go to 33/38. FHA guidelines say that your ratios should not exceed 29/41 and VA guidelines say just one overall ratio of 41%. If your ratios exceed the standard guidelines, don’t worry, lots of programs will let back end ratios go as high as 50% with compensating factors such as low Loan to Value (LTV) or high borrower liquidity. It’s best to have your loan officer pull your Credit Report early in the process so you know exactly what consumer debt shows on it. This will also give you a chance to improve your ratios by maybe paying off low consumer debt balances. To properly analyze a Mortgage Program, the borrower needs to think about how long they plan to keep the loan. If you plan to sell the house in a few years, an adjustable or balloon loan may make more sense. If you plan to keep the house for a longer period, a fixed loan may be more suitable. A borrower should also understand the relationship between rates and points. Points are considered to be prepaid interest and may be tax deductible (consult your tax advisor). Each point is equal to one percent of the loan. The more points you are willing to pay, the lower the interest rate will be. Shopping for a loan is very time consuming and frustrating. With so many programs to choose from, each with different rates, points and fees, an experienced mortgage professional can evaluate a borrower’s situation and recommend the most suitable Mortgage Program. Thus allowing the borrower to make an informed decision. Since professional mortgage brokers only broker Mortgage Programs that are priced below retail, the borrower is getting an experienced mortgage professional at no extra cost. In fact, because of the mortgage professional’s extensive knowledge of the mortgage industry, he or she many times can save the borrower extra money. The application is the true start of the loan process and usually occurs between days one and five of the start of the loan process. The borrower completes, with the aid of a mortgage professional, the application and provides all required documentation. Once the application has been submitted, the processing of the mortgage begins. The Processor orders the Credit Report, Appraisal and Title Report. The information on the application, such as bank deposits and payment histories, are then verified. Any credit issues, such as late payments, collections and/or judgments require a written explanation. The processor examines the Appraisal and Title Report checking for property issues that may require further investigation. The entire mortgage package is then put together for submission to the lender. If you are purchasing or refinancing your home, and you are salaried you will need to provide the past two-years W-2s and one month of pay-stubs: OR, if you are self-employed you will need to provide the past two-years tax returns. If you own rental property you will need to provide Rental Agreements and the past two-years tax returns. If you wish to speed up the approval process, you should also provide the past three-months bank, stock and mutual fund account statements. Provide the most recent copies of any stock brokerage or IRA/401k accounts that you might have. For questions about your credit history you can contact the credit bureaus that maintain this data: but before you do, you should discuss your credit report with your loan officer as he or she has extensive experience working with borrowers with all kinds of credit issues. Please also visit our Credit Page on this site. Borrowers with credit scores below 620 are normally locked into the best rate and terms offered. This loan type usually goes to “sub-prime” lenders. The loan terms and conditions are less attractive with these loan types and more time is needed to find the borrower the best rates. An appraisal of real estate is the valuation of the rights of ownership. The appraiser must define the rights to be appraised. The appraiser does not create value; the appraiser interprets the market to arrive at a value estimate. As the appraiser compiles data pertinent to a report, consideration must be given to the site and amenities as well as the physical condition of the property. Considerable research and collection of data must be completed prior to the appraiser arriving at a final opinion of value. Using three common approaches, which are all derived from the market, derives the opinion, or estimate of value. The first approach to value is the COST APPROACH. This method derives what it would cost to replace the existing improvements as of the date of the appraisal, less any physical deterioration, functional obsolescence and economic obsolescence. The second method is the COMPARISON APPROACH, which uses other “bench mark” properties (comps) of similar size, quality and location that have recently sold to determine value. The INCOME APPROACH is used in the appraisal of rental properties and has little use in the valuation of single family dwellings. This approach provides an objective estimate of what a prudent investor would pay based on the net income the property produces. Once the processor has put together a complete package with all verification’s and documentation, the file is sent to the lender. The underwriter is responsible for determining whether the package is deemed an acceptable loan. If more information is needed the loan is put into “suspense” and the borrower is contacted to supply more information and/or documentation. If the loan is acceptable as submitted, the loan is put into an “approved” status. Bring a cashier’s check for your down payment and closing costs if required. Personal checks are normally not accepted and if they are they will delay the closing until the check clears your bank. After the documents are signed, the closing attorney returns the documents to the lender who examines them and, if everything is in order, arranges for the funding of the loan. Once the loan has funded, the closing attorney arranges for the mortgage note and deed of trust to be recorded at the county recorder’s office. Once the mortgage has been recorded, the closing attorney then prints the final settlement costs on the HUD-1 Settlement Form. Final disbursements are then made. A typical “A” mortgage transaction takes between 30-45 business days to complete.